Nobody wants an unsightly, dirty roof. But, did you know that not cleaning a dirty roof can cause much more harm than just an ugly appearance? The black streaks that appear on most dirty roofs in the Clearwater, Largo Fl, St. Petersburg, and Tampa Bay area homes is actually a bacterium called gloecapsa magma. This bacterium is unattractive and can lead to mold which can eat away at your roof. Professionally Soft wash cleaning your roof can maximize its lifespan, while at the same time keeping your home beautiful. This means that you can keep your roof in tip-top shape, saving you money in the long-term thanks to fewer repair costs. 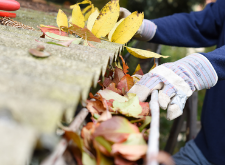 Even better, a professionally cleaned roof can actually increase your home’s property value! At Apple Roof Cleaning, we strive to provide the finest soft wash roof cleaning services in and around the Tampa Bay area. 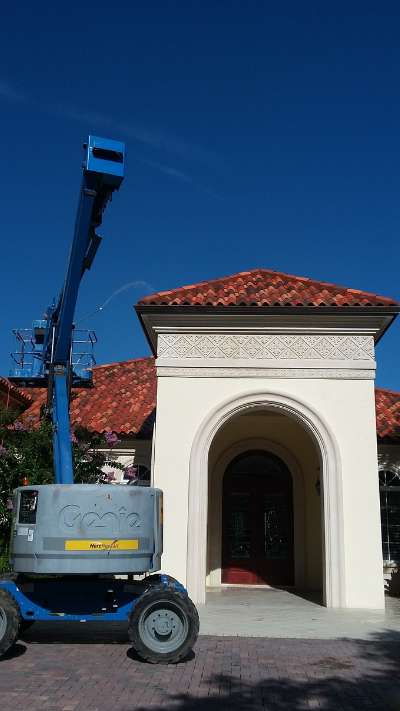 We offer far more than just the best roof cleaners in the Tampa, Clearwater and St. Petersburg area. We are also your one-stop-shop for all your patio, driveway, sidewalk, gutter, and pool cage cleaning needs. Apple Roof Cleaning is fully licensed and insured in the State of Florida. We Serve all of Pasco , Pinellas & Tampa Bay And S.W. Florida. The soft wash chemical cleaning professionals at Apple Roof Cleaning proudly serve the following communities in Pinellas and Pasco Counties: Redington Beach, St Pete Beach, Clearwater Florida, Largo, Treasure Island, Clearwater Beach, Tarpon Springs, Trinity, Saint Petersburg, Safety Harbor, Palm Harbor, Tampa Bay, Seminole, and Oldsmar. 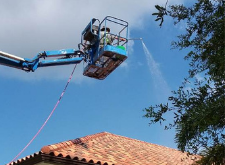 We are your go-to roof and exterior cleaning service in all of Tampa Bay and S.W. Florida. Our knowledgeable and experienced staff are highly-trained in all aspects of roof and exterior cleaning practices. Our soft wash chemical roof cleaning process complies fully with the ARMA guidelines for the safe cleaning of algae discolored asphalt roofs. 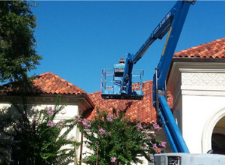 In addition, our unique process, as well as our high-quality cleaning tools and chemicals are safe on all roofing materials, including tiles, shingles, flat-coated steel, steel, T.P.O. and aluminum. Our customers always come first. That’s why we’re equipped to handle emergency calls – so no matter when you need us, you’ll know you can count on Apple Roof Cleaning. At Apple Roof Cleaning, we are far more than just roof cleaning. We provide expert and professional cleaning services for patios, decks, pool enclosures, driveways, and sidewalks. Our soft wash chemical cleaning system (pressure washing is also available) will leave all of your exterior spaces looking like brand new. We can also clean your pool cages and gutters, allowing you both the freedom to maximize your use of these outdoor spaces and the peace of mind that your property is looking its best. 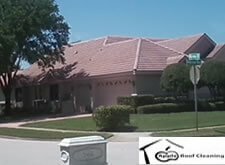 Apple Roof Cleaning is a fully licensed and bonded, residential & commercial roof cleaning company, offering guaranteed safe non-pressure roof cleaning services for tile, shingle and metal roofs, as well as soft wash and pressure wash cleaning of patios, decks, driveways, and other exterior spaces. Contact us today for a free roof cleaning estimate.